More than a month of severe drought conditions has patience running dry in parts of Nova Scotia where communities are still waiting for much-needed rain. Scores of families are relying on local fire halls for showers and drinking water as unseasonably arid conditions leave many residents without running water as wells run dry. Dolliver’s well has been dry since July. She’s been spending $60 per month at the laundromat since her water stopped flowing. 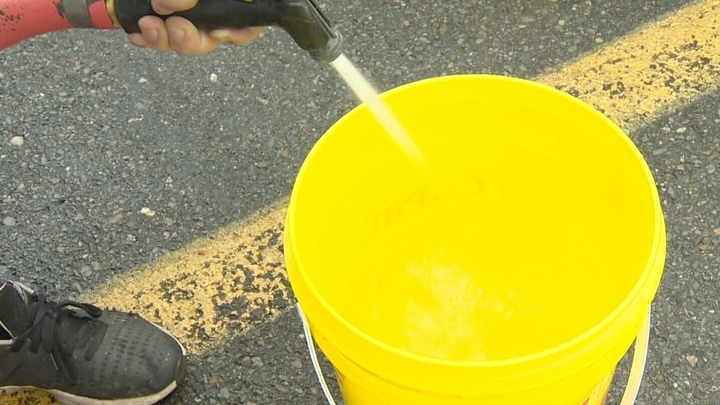 Between 20 and 30 millimeters of rain fell on Monday, but residents are still hauling away water in buckets at the local fire hall. 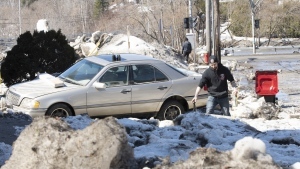 Rain is in the forecast for some of the hardest hit area on the southern tip of the province. Environment Canada is calling for a 40 per chance of precipitation in Shelburne and Yamouth on Friday and Sunday. Residents are hoping it will be enough quench the parched province. The military has been put on stand-by to offer assistance to communities if the drought continues. Residents of Shelburne, N.S. fill buckets of water at the local fire station.